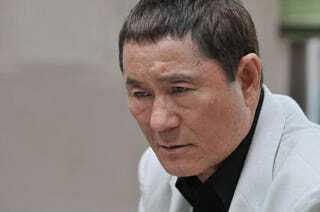 Famed comedian, actor, director and television personality Beat Takeshi does not like anime. In particular, he mentioned the anime of Studio Ghibli co-founder Hayao Miyazaki. But don't think for a second he doesn't recognize anime's importance. He does. During the Tokyo International Film Festival, Takeshi was asked about the sort of things that are important while creating a work. He talked about deciding what you want to do and doing that in your own voice. Continuing, he told the crowd (via Livedoor), "I hate anime and even though I truly hate, like, Hayao Miyazaki's work, I can recognize how great anime is just by the amount of money it earns. I think you should do things you like, but you also need to be open enough to recognize the things you think you don't." This shouldn't come as too much of a surprise as Beat Takeshi also hates computers, email, and video games. Oh, and Twitter. In 1986, Japanese comedian and actor Beat Takeshi designed a video game. A very hard video game. There's nothing wrong with liking anime, nor is there anything wrong with hating it (or hating video games or computers or email or even Twitter). But, as Takeshi explains, there is something wrong with being unable to recognize the importance of it—or anything else, for that matter.